My photography is all about understanding your unique story. The way your family grows and changes is important, and I want to be there to help freeze those memories in time, to wrap them up and present them to you for safekeeping. Hold the memories of your pregnancy tight – the only thing more precious is the child you’ll soon have in your arms. Maternity photography is a beautiful thing. The moment you found out you were pregnant, your love for your baby has continued to grow exponentially. There’s nothing like it in the world and you’ll cherish this time forever. I’m here to help capture this feeling, and make you feel as radiantly beautiful on the outside as you do within. My goal is to utilize the color and light available in the space around you and your outfit to capture the true essence of motherhood. 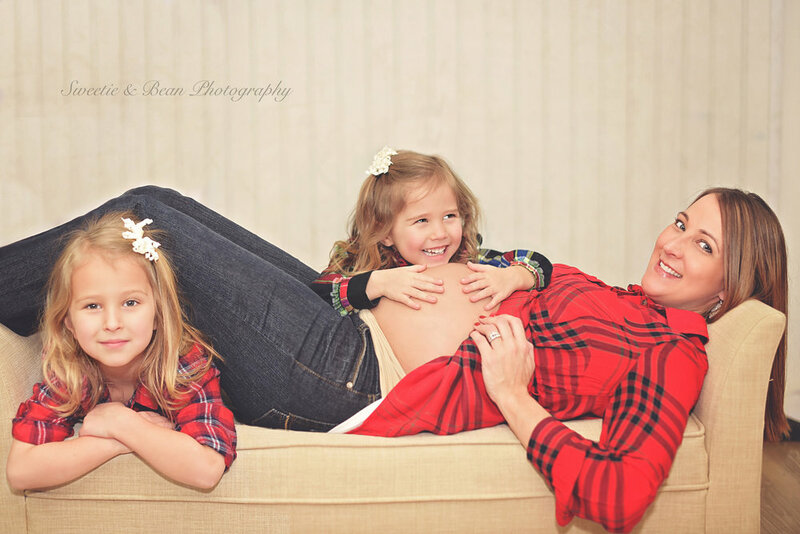 A maternity photography session is typically scheduled from 30-35 weeks. I view our maternity session as the beginning of a beautiful, lifelong relationship. Get in touch today to start planning your maternity photography session! As a mother to three beautiful children, I know you have certain things you’d like to see in your maternity session – a particular piece of clothing, the baby’s blanket or bassinet, an older sibling of the baby, your partner, the family pet, etc. Please let me know of anything you’d like to include, and I can come up with creative ways to feature it in some of your photos. As well, if a location is special for you like a particular lake or park, or if you would like to shoot in your baby’s room, any of these location options are open to you. Let me know your preferences, or I can help you decide where you might be most comfortable depending on the season and your outfit choices. In an outdoor setting, I’ll utilize as much natural light as possible, and use a combination of natural and artificial light in your own home. While based in St. Cloud, I will gladly travel to the Twin Cities or other nearby areas. Get in touch today to set up your session for the 30-35 week time frame of your pregnancy. If you’d like to set up a double session for maternity photography and newborn photography, contact me and learn more about newborn photography here.